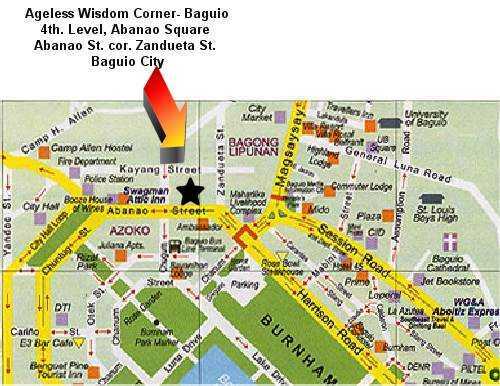 The Ageless Wisdom Library is a non-stock and non-profit initiative of Mrs. Bea Ajero, a life-long student of the Ageless Wisdom, that was established primarily in the early 1990s to disseminate the Ageless Wisdom teachings contained in the Alice A. Bailey works. 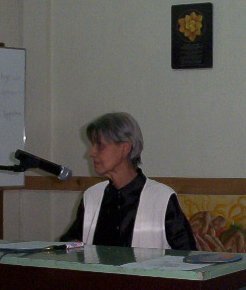 It aims to accomplish this by making the books and literature of esoteric philosophy accessible to the public through free lending; by promoting the ageless wisdom teachings through exhibits, book fairs, media and other activities; and to encourage Arcane School students and interested men and women of goodwill in the Philippines to get involved in monthly spiritual festivals during the full moons as an opportunity to serve humanity through esoteric group meditation. Currently, only one library is operating to achieve these purposes- the one in Baguio City (the Manila library already closed down operation). Both the Ageless Wisdom Library and Light Net are also presently engaged in cooperative joint projects to disseminate the Ageless Wisdom teachings on a wider national scale to present its timeless concepts to the modern day and help address the needs of the time. You can read more about the Ageless Wisdom teachings by dropping by at the Library that included a complete collection of the Alice A. Bailey books, freshly brewed coffee, and a comfy reading room. To our friends who used to attend our group meetings @ the Ageless Wisdom Library, 409-A Wack Wack Twin Towers, Wack Wack Rd. cor. Shaw Blvd., Mandaluyong City, Metro Manila, Philippines, we wish to announce that we are no longer holding any office/activities there.